Welcome to my Canada 2060 Smore! Have you ever wondered what Canada would look like 45 years from now? (I know you have) If so, sit tight and prepare yourself for all of the information that is about to be thrown at you! 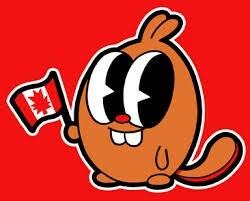 Although of course I am no psychic, this Smore will outline how Canada will look like in 2060 with well thought-out predictions and current statistics to back it all up. Demographics? Immigration? First Nations? We (or should I say I) cover it all! Read all about it below. 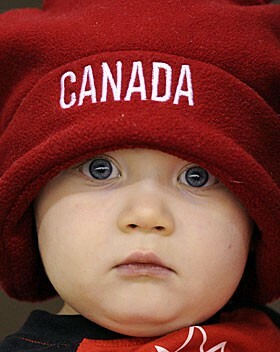 The birth rate will drop a tad as it is expensive to have children and provide for them in Canada. There will be improvement to our healthcare, preventing more people from passing away. 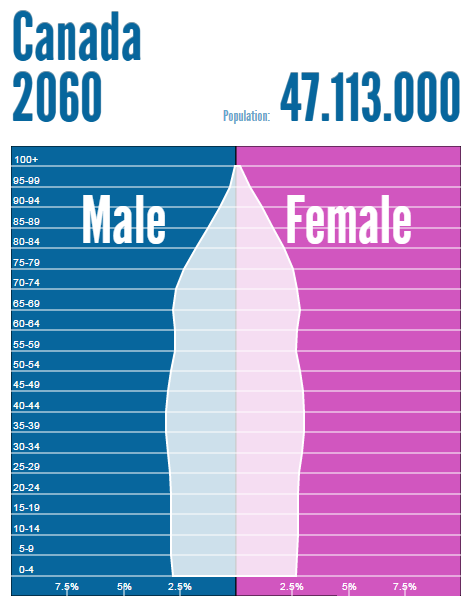 Now we would have a balanced population pyramid since the baby boomers have passed away, our natural increase rate would sit at a perfect number. Improvements to healthcare and technology will be made to help prolong life. Improvements to healthcare and technology will be made to help save infants' lives. Ontario is very multicultural and will most likely remain multicultural which will attract immigrants to settle. Once the baby boomers in the 50-60's pass away, the age groups by population will be balanced through-out and there will be more job opportunities. 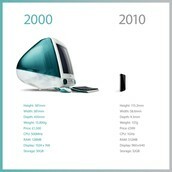 Shows how much technology has become so much more advanced within 10 years. In 45 years, mind-blowing technology to help save lives may be invented. 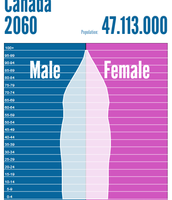 Shows the balanced out slow growing population in 2060. Mainly comes from China, India, and Philippines. As the baby boomers naturally leave the country, and the birth rate continues to be very slow, Canada will need to take in more immigrants to fill in the open job spaces and support the economy. Canada will take in more Economic immigrants because there will be open job spaces due to declining population. Canada will want to maintain our status of taking in a considerable amount of refugees and helping those in need. These countries will most likely still be overpopulated and there will be a greater ratio of educated people to available jobs. Canada would want educated immigrants so they could easily find a job and help support the economy. This graph shows that India and China have been in the top three countries that we get immigrants from for the past years and I believe they will continue to as these are some of the most overpopulated countries. 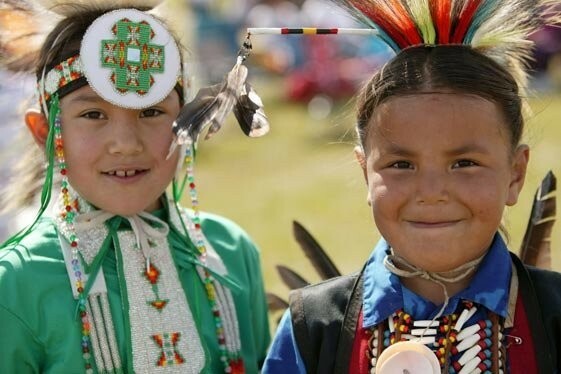 The birth rate will continue to go up and more of the native community will be under 24. As the First Nation community becomes larger, the government will want to make sure that the First Nation youth receives full education to help support the economy and improved services/resources will be provided to them. 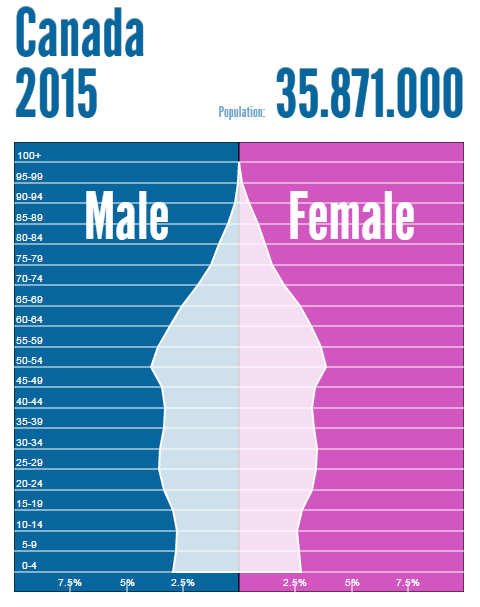 This population pyramid verifies that the First Nation population in Canada is growing much faster than the rest of the Canadians and will eventually be a big community. This video is significant because it explains how the First Nation education has evolved throughout the years and it also indicates that First Nation school boards were being considered and will most likely be created since the First Nation community is continuing to grow. "PopulationPyramid.net." 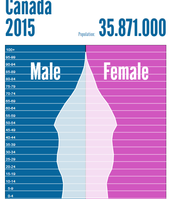 PopulationPyramid.net. N.p., n.d. Web. 12 Mar. 2015. <http://populationpyramid.net/>. "Canada." - Country Profile. N.p., n.d. Web. 13 Mar. 2015. 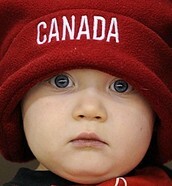 <http://www.indexmundi.com/canada/#Demographics>. Aboriginal Peoples in Canada in 2006: Inuit, Métis and First Nations, 2006 Census: First Nations People: Large Increase in the First Nations Population. Statistics Canada, n.d. Web. 13 Mar. 2015. <http://www12.statcan.ca/census-recensement/2006/as-sa/97-558/p15-eng.cfm>. "Canada's Future Depends on Aboriginal Youth." - AUCC. N.p., n.d. Web. 13 Mar. 2015. <http://www.aucc.ca/fr/media-room/news-and-commentary/canada-s-future-depends-on-aboriginal-youth-2/>.